Today’s Cheapskating features 28 scrumtulescent deals. The 8th Humble Indie Bundle was released this Tuesday. Pay whatever you want to receive Little Inferno, Awesomenauts, Capsized, Thomas Was Alone, and Dear Esther PC download games, along with their soundtracks. So long as you pay at least $1, you’ll also receive Steam keys to add to your collection. And if you pay more than the average (currently $5.67), you’ll also receive Hotline Miami, Proteus, and the Proteus soundtrack. Pick a price, then split it as you desire between developers, charity, and Humble. Normally you’d pay close to $100 for these downloads. Five years after the original CodeMasters release, Grid 2 hit American shelves this Tuesday. This arcade-style racer with polished graphics and tons of customizations receives a pretty solid 82/100 Metascore. The PC download version is $49.99, but you can grab it now at a $15 discount from GamesRocket, dropping the price to $34.49. If you’re into historical PC strategy gaming, odds are you’ve heard of Crusaders Kings 2. Earlier this week, Paradox released the latest expansion pack The Old Gods, which gives the game an earlier 867 AD start date (previous start date was 1066 AD) and focuses in on the Vikings and other Pagan factions. The DLC was released for $14.99, but Green Man Gaming’s 20% off coupon code drops the price to $12, saving three bucks. The Humble Indie Bundle 8 — pay what you want. 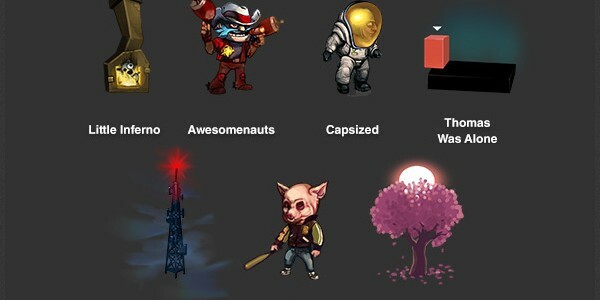 The bundle includes Little Inferno, Awesomenauts, Capsized, Thomas Was Alone, Dear Esther. Beat the average price ($5.67 at time of writing) and you’ll get Hotline Miami and Proteus. Last Tuesday’s release: Grid 2 (PC Download) — $34.49 at Green Man Gaming. Next best is $40. List price is $50. Rockstar Games PC download bundles at Amazon. Last Tuesday’s release: Crusader Kings II: The Old Gods (PC DLC) — $12 at Green Man Gaming. List is $15. Today’s release: Wargame: Airland Battle (PC Download) — $32 at Green Man Gaming. List is $40. Yesterday’s release: The Night of the Rabbit (PC Download) — $16 at Green Man Gaming. Elsewhere $20. June 4: Remember Me (PC Download) — $40 at Green Man Gaming. List is $50. July 9: Dark (Xbox 360) — $41.99 at NewEgg. List is $50. Aug. 11: Mario & Luigi: Dream Team (Nintendo 3DS) — $33.99 at NewEgg. List is $40. Dead Space 3 (Xbox 360, PS3) — $29.99 at Groupon. List is $60. Dishonored (Xbox 360) — $19.99 at NewEgg. Next best is $30 at Rakuten. Call of Duty: Black Ops Declassified (PS Vita) — $29.99 at NewEgg. Next best is $45 at Amazon. Metro: Last Light — $34.99 at Groupon. List is $50. Crysis 3 — $27.99 at Groupon. Next best is $30 at Amazon. Sleeping Dogs Bundle — $12.99 at Amazon. Next best is $31 at GameStop. Sniper Ghost Warrior 2 — $12 at Green Man Gaming. List is $30. Fallout: New Vegas Ultimate Edition — $8.49 at GamesRocket. Next best is $30 at GameFly. Papo & Yo — $8.04 at Green Man Gaming. Next best is $10 at Amazon. Fallout: New Vegas — $4.49 at GamesRocket. Next best is $10 at GamersGate. Sennheiser X320 Xbox 360 Gaming Headset — $58.88 at Rakuten. Next best is $100 at Crutchfield. Alienware M17x r4 Core i7-3630QM, 2GB GeForce GTX 660M, 8GB RAM — $1,469 at Dell Home. List is $1,749. Alienware M14x r2 Core i5-3230M, 6GB RAM, 1GB GeForce GT 650M — $869 at Dell Home. List is $999. HP ENVY h8-1540t Desktop, Core i7-3820, Radeon HD 7670, 12GB 1600Mhz RAM — $699.99 at HP. List is $1,000. HP ENVY h8-1360t Desktop, i7-3770, Radeon HD 7570, 10GB RAM, Bluetooth Wireless-N LAN card, 460W power supply, Windows 7 — $649.99 at HP. List is $1,000.